Antique oval pique brooch from the 1800’s. 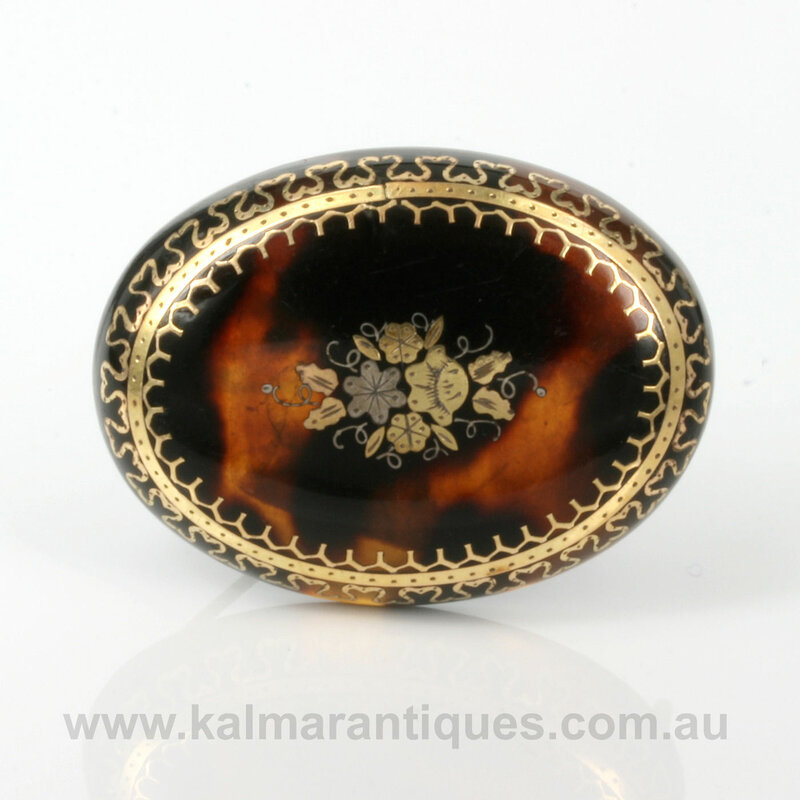 Product code: ES3474 Categories: Antique, Antique Brooch, Pique Jewellery. Piqué jewellery is a style of jewellery that is simply like no other. Piqué (pronounced pee-kay) is a technique where tortoiseshell was inlayed with gold or silver or sometimes both in a wonderful ingratiate style that combines so well in colour when set into the chocolate brown of the tortoiseshell. And here is a gorgeous Piqué brooch dating from the Victorian era of the 1870’s and still in superb condition even well after 140 years. The intricate design both in the centre and as a border is a real testament to the quality of craftsmanship that went into creating this. Measuring 3.6mm across by 2.8cm, it is also the perfect size to wear all the time day or night. Piqué jewellery truly is unlike anything else and this antique piqué brooch from the Victorian era is certainly no exception.